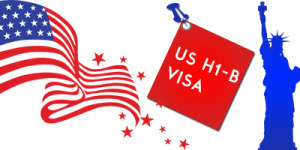 There are several types of H visas. H-1b and H-2b visas are the most common. We take pride to specialize on H-1B visas. In the modern US economy there is a lot of talent that is in H-1B or other visa status in America. When a successful business places an ad for a new opening, almost every time, there will be at least one or two candidates who is in the US but either without employment authorization or under certain limitations. In the IT industry this number is way higher. Approximately 80-90% of applicants that reply to job advertisements in the Information Technology sector are immigrants. In order to compete in the changing business circumstances, employers can no longer afford disqualifying such applicants right away. There are a lot of great applicants who are qualified and over qualified. But, most importantly, such applicants may consider lower salaries. For those prospective employees in a valid H-1B status there is an easy solution. It is called H-1B Transfer or H-1B Change of Employer. H-1B visas are easily transferable. Our law firm ILEX LAW can facilitate a transfer of such candidates as a quickly as within 3 weeks. 1) Advanced degree (the attainment of at least of a bachelor’s degree or its equivalent as a minimum); for example, a Bachelor in Information Technology from India. *** 1st and 2nd must be directly related to each other. For those employees who are not in an H-1B status and never had an H-1 filed for them, applications must be filled out by April 1st. There is no way around it. Each new H-1B must be counted against a special limit called H-1B visa cap. Please see our blog on the Cap subject and see our discussion on the last 2015 cap numbers and news. A few words on Prevailing Wage (minimum salary that an H-1B worker must be paid). A given employment position must be compensated at a prevailing wage in a particular geographic area. This wage is set up by Department of Labor and very strictly enforced. ilexlaw offers a wide range of legal services cover everything related to employing H-1B professionals, including the Compliance with Department of Labor and other Regulations. H-1B temporary visa is an immigration documents that allows foreign nationals to work and live in the US. Normally, the filing fee is $2,325 plus legal fees. If a candidate currently has a valid H-1B and works for a different company, an H-1B transfer case can be filed (described above). If a candidate is a student/recent graduate in the US or overseas who has not had an H-1B visa in the past, a CAP case can be filed on April 1 and a student may continue/begin working. To initiate the process, we request to fill out our intake forms (one for the employer and one for the employee). These intake forms contain general information about the job and the employee required to file the paperwork. To transfer an H-1B worker from a different company (option 1): first, ask if the employee is in a valid H-1B status (should have a valid I-797 Approval Notice). If yes, we should be able to transfer him/her to your company. After all documents have been provided, it takes at least 2 weeks to compete the process (additional Premium Processing fees of $1,225 apply). One can hold an H-1B visa for no more than 6 years. During that time most foreign nationals request to initiate a green card process (become a permanent resident). Time spent working for a different company counts against the 6-year limit. The intakes help us determine how much time employees have left in their H-1B status. Some foreign nationals from India and China have the green card process completed but cannot get green cards due to per county limit and remain in the H-1B status. The employees who have approved Forms I-140 and can have their H-1B visas extended indefinitely (6-year limit does not apply). H-1B visa holders can travel abroad but they cannot be moved freely from one worksite to another within the US. When an H-1B employee is sent to a different project, an amended petition and/or LCA has to be filed to document the change of work location. Please fill out the from and our immigration attorney will contact you right away.